HeadZone Graphic Design based in Knysna, Garden Route, South Africa. Graphic design involves designing brochures, posters, books, websites, corporate communications, logos or any form of artwork or layout/DTP for companies or individuals. The HeadZone core member is a talented person taking Open Source concepts to the forefront of industry standards. Joomla! is a major system that was quickly conquered in order to be able to offer clients the ability to update their own websites. This Content Management System based site builder has been hailed by companies world wide. Who is HeadZone Graphic Design? Charlene is a one-woman business and for this reason she only produces her masterpieces for a select few. This is because she refuses to mass produce poor quality or commonly used themes - preferring to dedicate her time and creative energy to deliver a unique product that works and produces positive results for each unique client. She does have a part time assistant but he prefers to remain anonymous. He proof reads copy, writes copy and does some design and layout and a lot of dog's body work like deliver boxes of brochures to clients, outdoor banners, signage or CD,s containing presentations, - he even delivered a giant football to the local municipality for the 2010 soccer world cup (Knysna hosted two teams - France and Denmark). She works very hard but she lives and works in a forest in one of the most beautiful towns in the world, so she does enjoy her free time - she has lots of animals - two parrots, two dogs (a Jack Russell and a Crested Chinese Hairless Dog), two wild doves, two wild Loeries and over 100 tame fish including two eels (Kodac and FireFox). Besides being a pretty cool name, it is also geographically based. 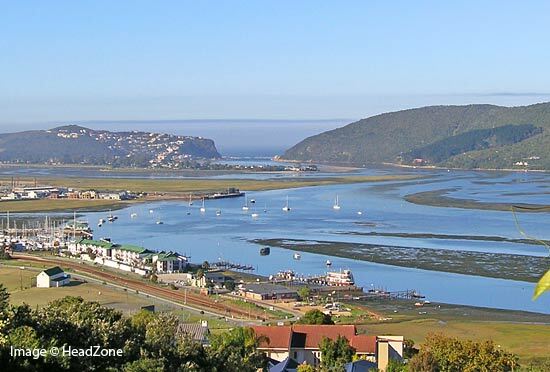 The town of Knysna surrounds a large inland Estuary which is fed by the fresh water from the Knysna River, and the salt water from the Indian Ocean. Where the ocean enters the estuary, there are two sandstone cliffs, known as the Knysna Heads.